Although there are a few methodologies, such as Agile and Six Sigma, that have their own topic areas, this area is devoted to exploring the many different project management methodologies that are utilized by project managers all around the world. 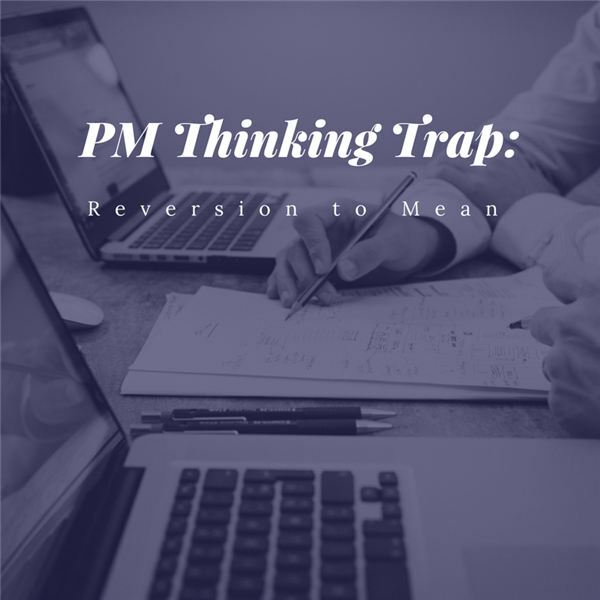 In addition, this is a place where PM experts can “talk shop” and express their opinions on why they believe some strategies work and others don’t. We’ll cover Waterall Methodology, PRINCE2 and much more. Today we are bombarded with more distractions than ever. We must reconcile with the fact that lots of folks are completing for our eyeballs, our time and our attention. And it’s not just others. A simple phrase such as “stuff not fluff” can help us to get back on track. In his book “The Tipping Point: How Little Things Can Make a Big Difference,” Malcolm Gladwell beautifully illustrates how success comes in spurts. Indeed, whether moving a large rock or popping popcorn or making money, consistent effort is critical – but we should not expect consistent results. The skill of persuasion is a key tool in a project manager’s tool belt. Learn a counterintuitive trick – uncomfortable to put into practice and yet proven and very powerful! There is a flipside to respecting authority. If ignored, it can provide a perilous blind spot in our thinking and lead to potentially harmful decisions. We need to temper the goodness of respecting authority with the perils of putting our projects at risk by overreliance on authority. 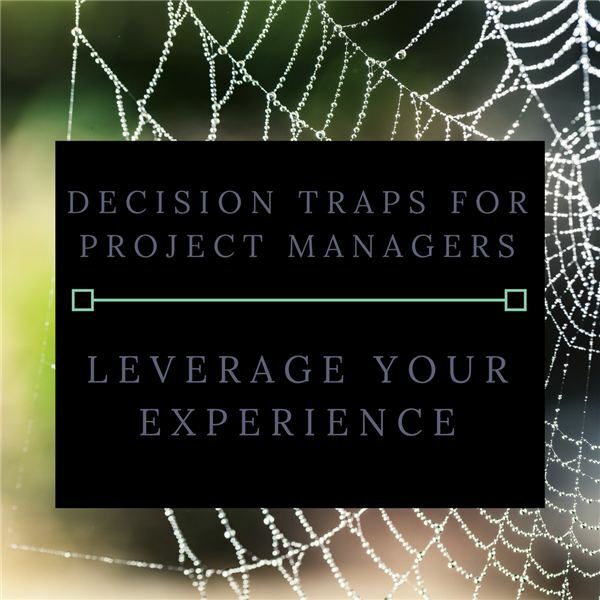 People rely on project managers to fix problems and keep things on track. As a result, they are action oriented, anticipating problems and acting proactively. This is admirable, responsible and accountable behavior, but there is a risk. In a world awash with information, it is a challenge to distinguish between the useful and useless, the relevant and irrelevant, the complete picture and the incomplete picture. Learn how to best avoid negative effects and make sure you have good data to make a sound decision. Working in teams has become part of the daily fabric of work in professional environments today. Does the effect of social loafing mean that we are doomed to decreasing efficiency, or is there a better way to manage teams with due respect to the social loafing effect? Experience bias involves overextending the lessons learned from our experiences.This article focuses on how to most effectively apply and how to avoid misapplying our experience-based knowledge. Many things motivate people, but we often think of financial motivators first. However, the opportunity to do something that matters, to help people and to grow as a person motivates people. Indeed, there is a whole spectrum of motivators for every situation. There is a common thread between Donald Trump and Barack Obama, or between Mahatma Gandhi and Jeff Bezos; between Mother Theresa and Al Capone. 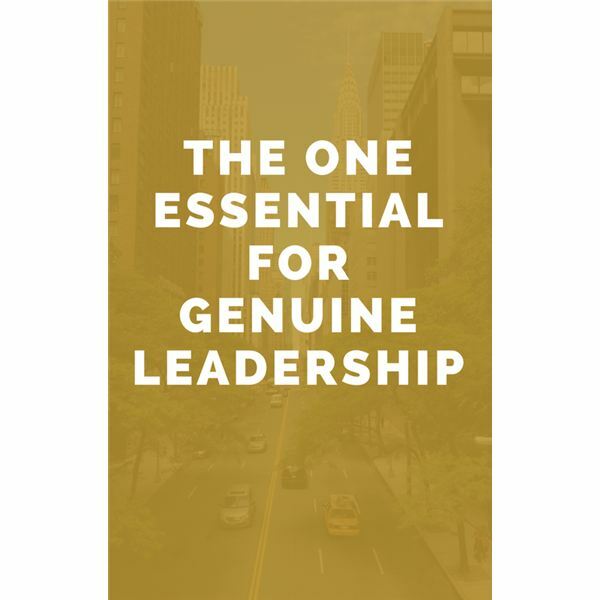 Learn the one thing that all of the most effective leaders have in common. Sometimes we are doing all the right things, but things are just not clicking. Leaders bump into this situation: the proverbial brick wall. 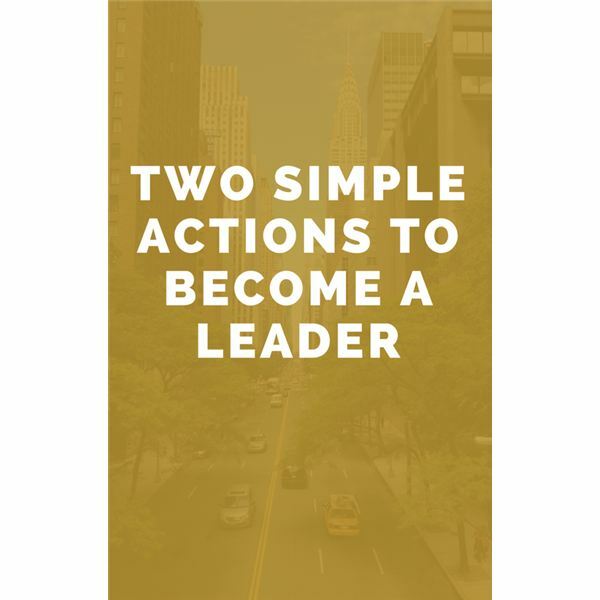 What can you do as a leader when you are bumping into that wall? 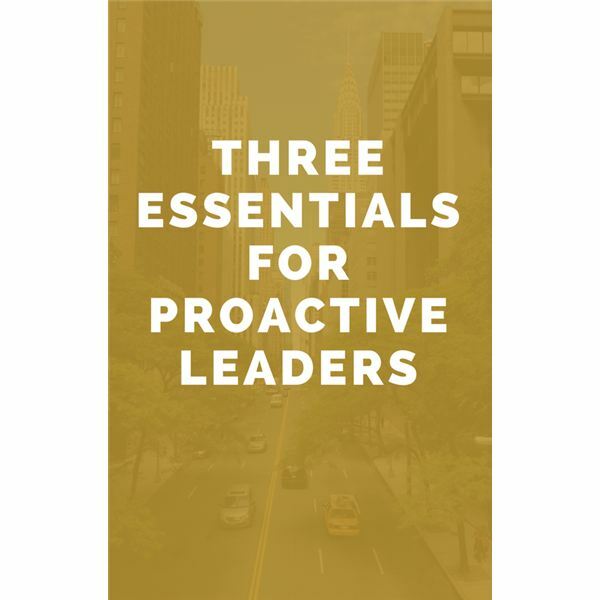 What does it take to be an effective leader? I learned three essentials in an “aha!” moment when someone distilled it down to the simplest terms that could be communicated in seconds. This is where the rubber meets the road! What is your leadership style? This is a personal question – and not one that has a right or wrong answer. 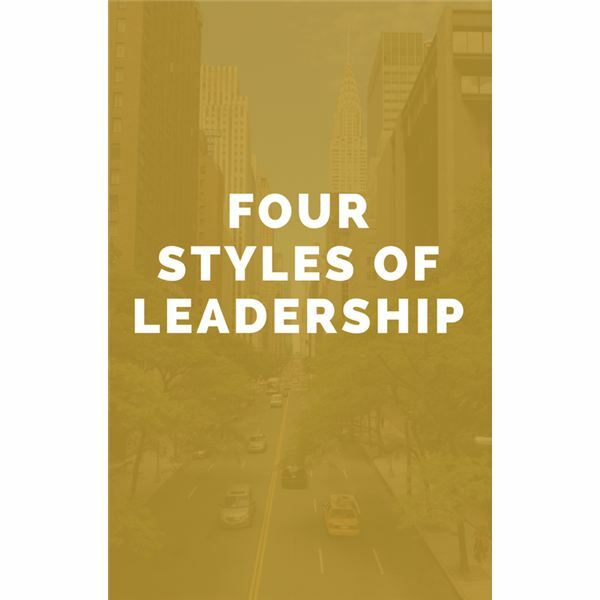 Learn about the four top leadership styles and how you can leverage the best – and avoid the worst – from each. The 80:20 rule applies in virtually every situation in the universe. It’s very useful to identify the 20 percent and the 80 percent, but what do you do once you have identified them? 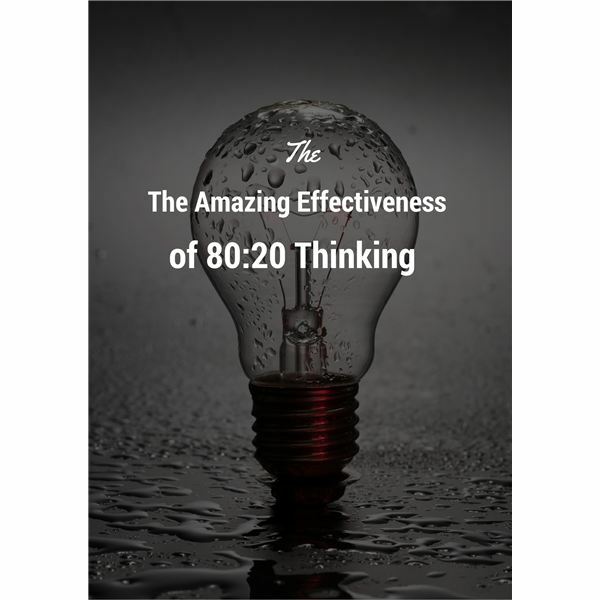 Let’s look at the range of possibilities for using 80:20 thinking to dramatically increase your effectiveness. 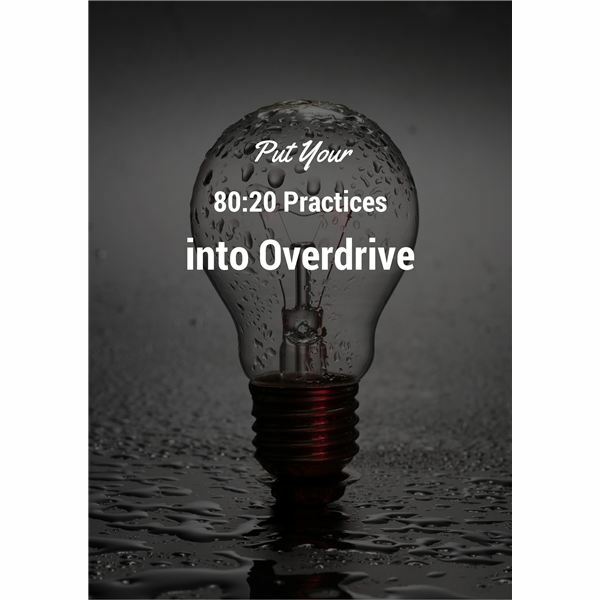 It’s easy to imagine how you can use 80:20 thinking to prioritize. 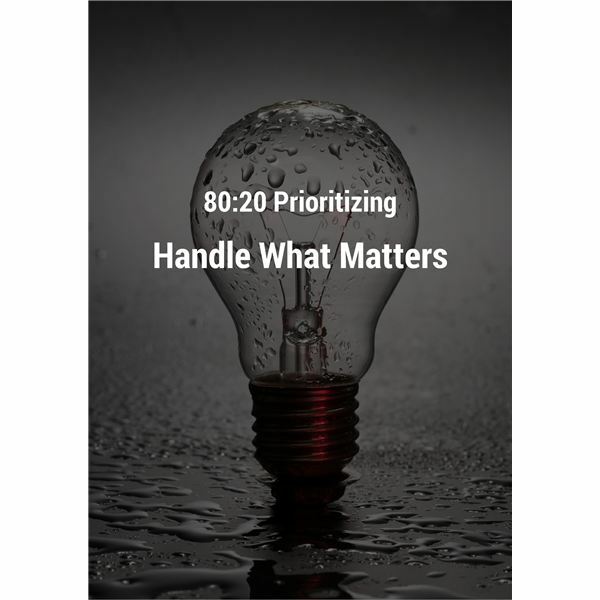 How can you leverage 80:20 thinking to manage not only what matters most, but also what matters least (yet still matters)? 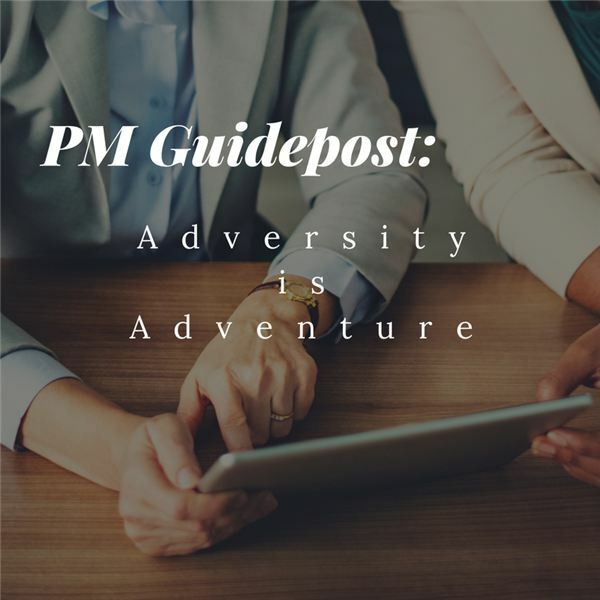 This article looks at how to handle what matters most and how to best handle what matters least. 80:20 thinking is not just a once and done thing. You can apply it over and over again at multiple levels, a bit like peeling an onion. It is at these deeper and deeper levels that we can find the most effective applications of 80:20 thinking. Using this alternative 80:20 thinking, you make an acceptable compromise with yourself and make a trade-off between approaching things one way versus another, making your outcome more palatable than it might otherwise be. Let’s see how this can brighten your prospects in many ways.